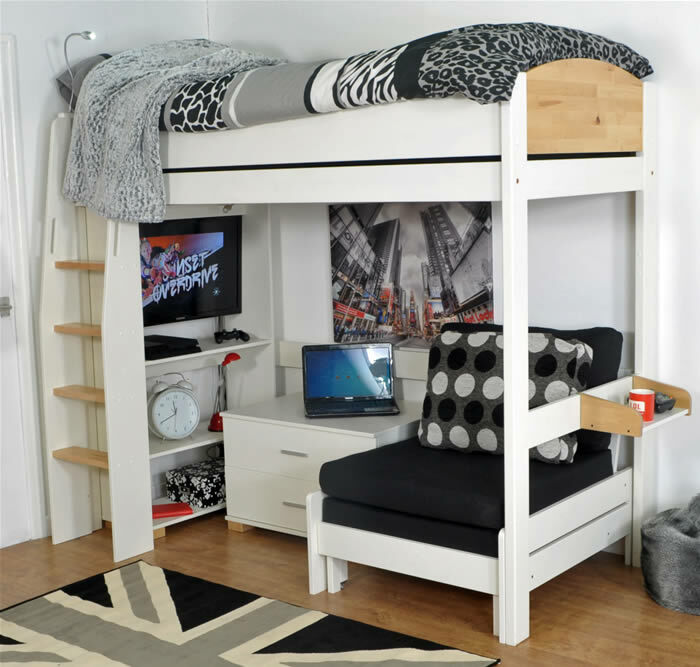 The Kids Avenue Urban high sleeper bed set 4 in white finished pine and natural birch features a two drawer chest, pull out chair bed, high shelving unit and TV support bar. 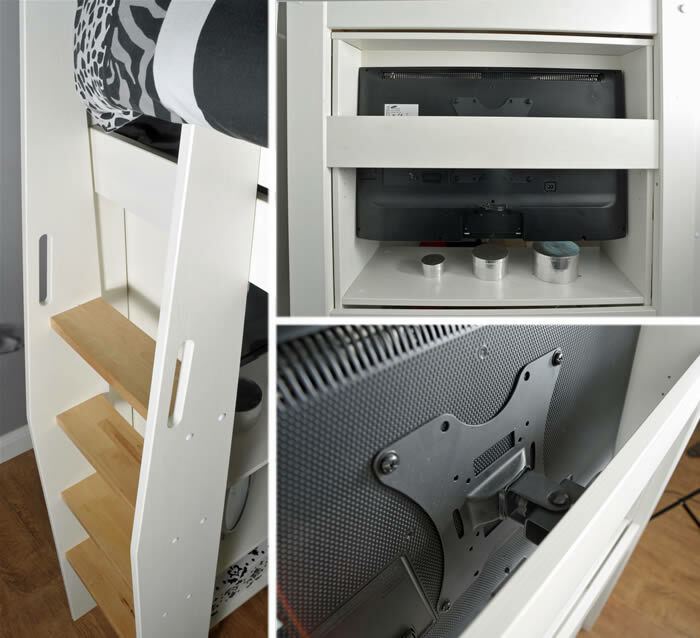 To accommodate different bedroom layouts the Urban high sleeper bed offers a reversible ladder which can be positioned to the front left or right side of the bed. 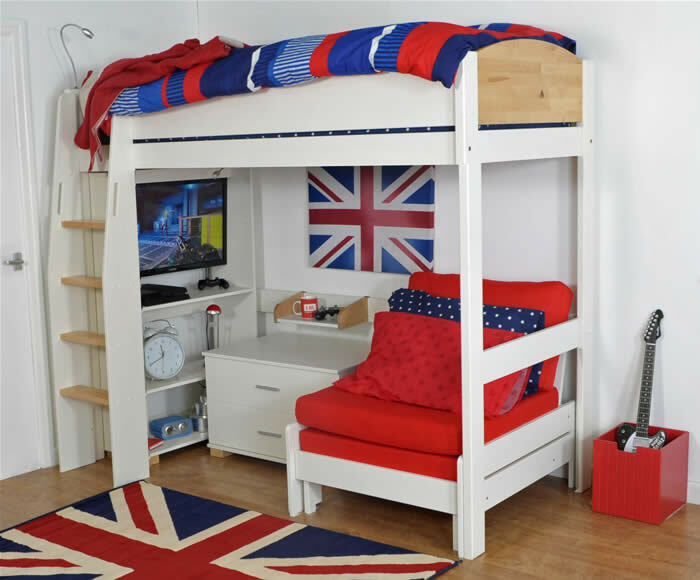 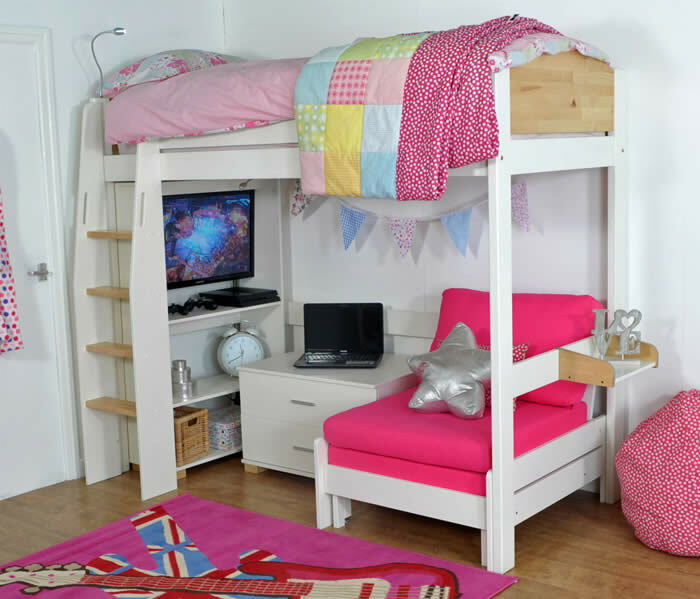 The high shelving unit, 2 drawer chest and chair bed are all free standing allowing them to be arranged to suit your child's needs. 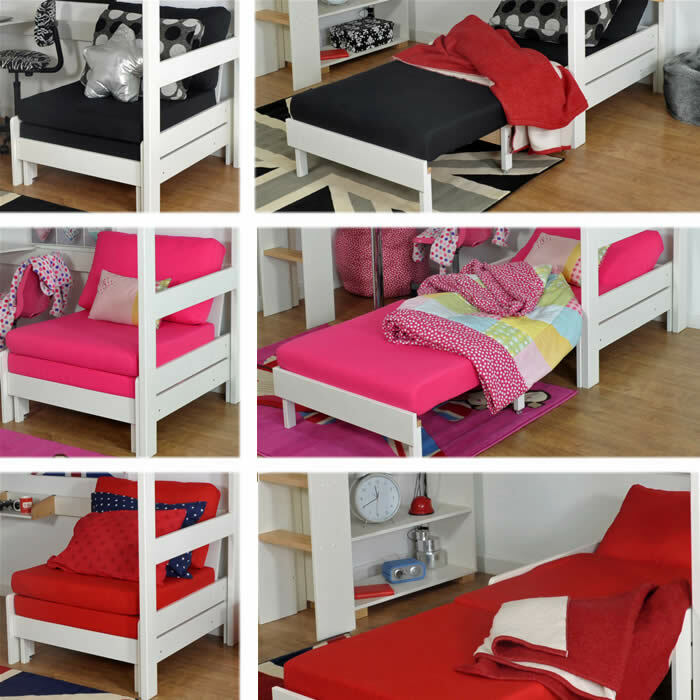 The Urban chair bed extends into a 2 meter guest bed with a choice of black, pink or red cushions.